A very lovely person just got out of the hospital and I picked up a GIANT box of donuts to celebrate. We pounded too much coffee and stuffed our bellies. I went to pickup dogfood, got home and remembered I had signed up for a transcendental crystal bowl meditation workshop. I smoked a cigarette and asked the universe if I should still go-afterall, it started in 4 minutes and was 9 minutes away. I decided to go. 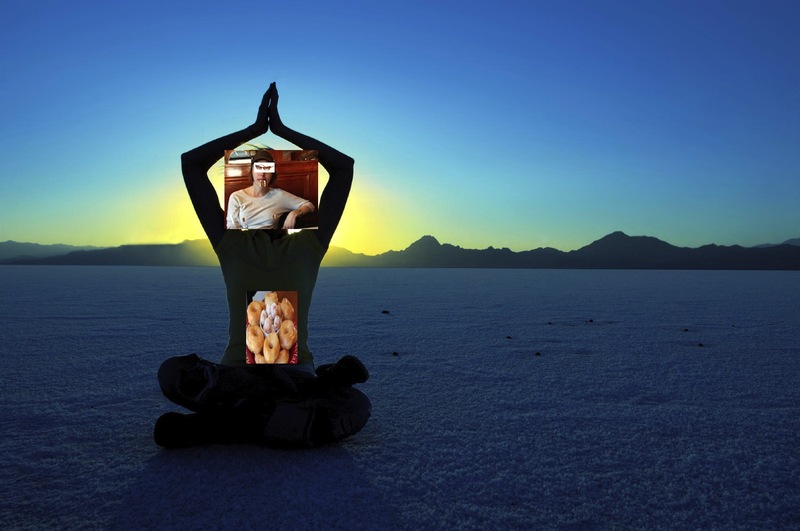 I am going to start a new fitness craze – if you eat donuts it makes it much easier to meditate. If you do it right when you are losing your sugar rush, meditation is possible.